Pete gathers his books in preparation for finals. Thanksgiving has come and gone and finals are near! We know the last two weeks of the semester can be overwhelming, let us help you. Never fear, #iamokstate has tips to help you get through the week. Ready. Set. Study! Buckle down and put in the work to get that “A” you’ve been wanting all semester. PROTIP: Go to bed early. A full night of sleep is crucial for your brain to keep retaining information. Find a study buddy. Or better yet, a go-to study spot. Get in a groove, find what makes you most productive. If you work better with a partner when studying, ask someone from your class. If going solo is preferred, settle into the perfect spot for a few hours. Try the Edmon Low Library, the Reboot Center or Balanced Coffee Co. for a cozy setting! Quizlet will help you test yourself with flashcards. If you’re more old-school when studying, stock up on flashcards and get your favorite colored highlighters from the University Store. If what you’re doing isn’t working, change it up. 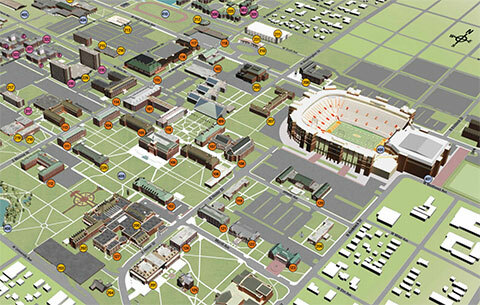 Find a new place to study or listen to some new music using #okstate’s spotify. Check out the “It’s 1 a.m. at Edmon Low” play for some great tunes. PROTIP: Take advantage of your professor’s office hours. It’ll almost always give you a leg up on an exam. If you don’t know when they are, find them in the syllabus! It’s really easy to get stressed during finals, so just take a deep breath and remember these things. DO: Eat balanced meals and healthy snacks. Superfoods like blueberries, oats, quinoa, fish and avocados give your body a natural energy boost. DON’T: Eat junk like pizza and Chinese takeout every night. DO: Get some exercise, even a quick 10-minute walk around campus can help. Try out the Cowboy Walking Trails! DO: If you feel the stress getting to you, talk to your friends or University Counseling Services. DON’T: Miss out on the perks of finals week on campus! Pete’s Pet Posse, Late Night Cafe at the Union and free food at the library every night. DO: Stop in and visit the Reboot Center to help you de-stress and refocus. DON’T: Share your friends’ prescription medications. They may seem harmless since they are prescribed from a healthcare provider, but please remember that medications are prescribed based on weight, height, gender and with knowledge of other health issues and possible drug interactions. In this case, sharing is NOT caring! DO: Stay hydrated – drink plenty of water! DON’T: Consume sugary energy drinks. Today is the day you’ve been preparing for and you’re gonna rock it. Start your day with a filling, well-balanced meal like eggs and fruit. Look good = feel good. Get ready like you normally would. It’s never a bad idea to wear #AmericasBrightestOrange. Take it one day at a time. Before you know it, you’ll be in the “Holly Jolly” spirit heading home for the holidays.